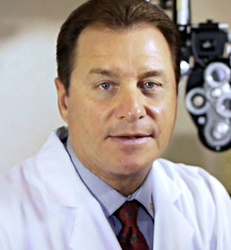 Dr. Robert Turcios Jr. is a second generation optometrist who has practiced in Pleasant Hill since 1984. He was born and raised in the Bay Area and attended the University of California, Berkeley, where he received his Bachelor of Science degree, with honors, in 1978 and his Doctor of Optometry degree in 1980, earning academic awards for Excellence in Binocular Vision and Outstanding Merit for his doctoral thesis. He practiced with his father, a long-time East Bay optometrist and associate clinical professor at Cal, until he moved to Pleasant Hill. Children’s vision problems and eye coordination training. He is a member of the American and California Optometric Associations and active in the community as a member of the Rotary Club of Pleasant Hill, where he was president from 2011/2012. He is an avid golfer and enjoys following Cal Athletics. He has coached his children’s CYO basketball teams and continues to support local youth sports. Happily married to his wife Janet (who is the office manager) for over 35 years, they have raised three daughters who have attended Carondelet and Christ the King schools, where he and Janet are parishioners.